Marc began training in martial arts at age 15 (early 1996) in the 'Wing Chun' style of Kung Fu / Gongfu under Dave Friskney. He trained this style for 8 years, achieving a '2nd degree black sash' grading. 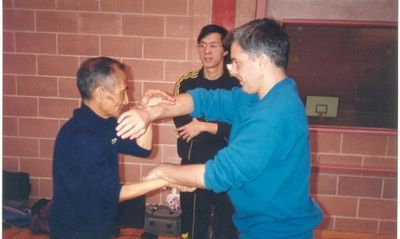 However, in 1998, two and a half years into this training, Marc also began studying Taijiquan, after having seen the martial prowess of teacher Li Xuelong during a series of workshops. Over that period, he developed a real appreciation and passion for the depths of the art and philosophy of Taijiquan and so decided to focus his attention exclusively on this distinctive martial art style, and has now been practising Taijiquan for 21 years. His Taijiquan training had made the practice of any other arts obsolete and pointless. Marc has trained extensively in Chen Zhenglei lineage... (so-called) Old frame routines 1 & 2, New frame routines 1 & 2, Yang Sheng Gong, short forms, Straight sword, Broad sword, Pushing hands & sparring - including fixed, freestyle and fighting applications. He is a strong believer in the traditional martial training of the system and not the modern simplified 'stand-up wrestling' that Taiji push hands has become in the Chen village in recent times. In May 2017 Marc began studying the lineage of Chen Yu (son of the late Chen Zhaokui) under his senior disciple Marin Spivack of Chen Zhaokui Taijiquan association of North America. Marc is passionate about sharing Chen Style Taijiquan with his students and has a friendly and patient approach to teaching. 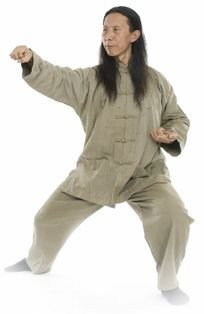 Terry began training Taijiquan in 2008 to improve his health and fitness, and has been training ever since. 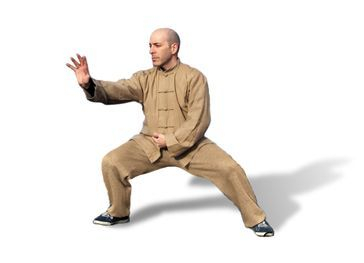 He has now has been practising Chen Taijiquan for over 10 years under Marc's close tuition and has extensively studied Chen Style long and short forms, straight sword and Broadsword. Over the years, Terry developed a knack for leading and helping others with their study and so was given the opportunity to help out as assistant instructor, which he quickly excelled at. 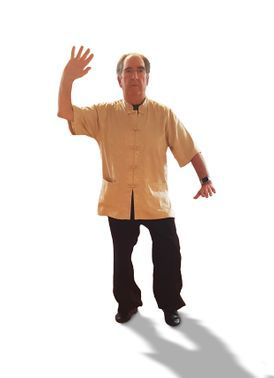 Terry is an invaluable asset to the Academy, with a strong knowledge of the physical mechanics, theories and philosophies of Taijiquan, he regularly helps his peers and the less experienced members to grasp the finer points of the art. Marin Spivack (http://molingtaiji.com/) is the 12th generation senior western disciple of Chen Yu - son of Chen Zhaokui, who was well known for passing on martial application of the arts forms to the famous 11th generation of Chen Villages Taijiquan practitioners (Chen Zhenglei, Chen Xiaowang, Wang Xi'an, Zhu Tiancai etc) but also (somewhat more thoroughly) to a generation of students in Beijing, as well as many others. Marin is a high level exponent of this line and an expert representative of Chen Yu's Taiji 'Gongfu' frame. His system is not 'easy Tai Chi for health', it is traditional internal gongfu (kung fu), for developing the fighting skills Chen Taijiquan was famous for before the modern introduction of revenue generating sports methods and watered-down simplified versions of the forms, but also brings a deep benefit to health and the pursuit of meditation practice..
Marc continues to study and practice under this line for his own development. Liu Yong was born in 1966 and currently lives in Baoting, Hainan, South China, running the International Tai Chi Health Centre near the beautiful Qi Xian Mountain. He is a senior indoor student of Chen Zhenglei and is an official 12th generation inheritor of Chen style Taijiquan, with nearly 30 years training in the style. Liu Yong is known for his impressive power but also his kind-hearted nature. He is an expert professional and a pleasure to learn from. He sometimes visits the UK to teach and help promote the art. Marc followed Liu Yong's training methods for 12 years from 2005 to 2017, training under his close guidance in both China and the UK. Li Xuelong of Southampton School of Tai Chi, a student of Tuo Musi (who learned Chen Taijiquan in Beijing from Chen Zhaokui). Xuelong's skill level in real functional Taijiquan is extremely high...in form, push hands and fighting ability one will seldom see anyone in this country at his level. Yet he is so humble that he barely promotes his own school so is relatively unknown. However, self promotion is unnecessary as he has so many students wanting to train privately with him (through word of mouth) that he is always booked up every day with private tuition. After having trained in Taijiquan with one of Xuelong's students for 3 years, Marc began training with Xuelong in 2001; studying form, freestyle push hands and Taiji sanshou. Dave Friskney of Southampton, began his martial arts career with Wado Ryu Karate in 1975 under Sensei Henry Reeves, but achieved his black belt grading at age 20 under famous teacher Sensei Tatsuo Suzuki. During the 80's he studied the southern Chinese 'Wing Chun' style of gongfu (kung fu) under Ip Chun's (Ip Man's son) UK based student Samuel Kwok. He devoted himself to this style for many years and taught in many cities / towns in England, eventually releasing self defence instructional videos. He also worked on the doors of many Southampton nightclubs. 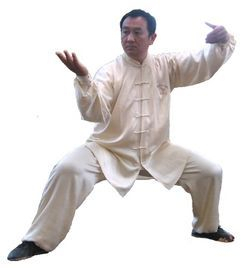 In the early 90's Dave began studying Taijiquan under Li Xuelong, and eventually taught classes on the Yang style. 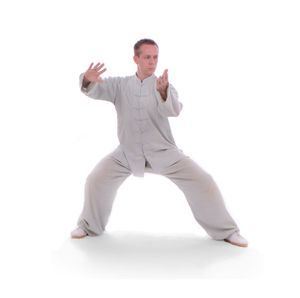 Dave also studied some Chen style Taijiquan and used the practice to not only develop martial art skills but also help manage his rheumatoid arthritis condition. Without a doubt, he inspired Marc to study martial arts as a lifelong pursuit.